I could go north to Gushan temple, or west to Jiating. Where the swallows have returned, and now are harvesting the spring mud. While my horse waded through the new grass. Beneath the green poplars, on White Sand Trail. The poem is translated from Bai Juyi’s “A Visit to Qiantang Lake in Spring.” Bai Juyi (772–846) was a government official; poets need a day job. Wikipedia has a reasonably thorough and accessible (and presumably reasonably accurate) biography of the man. 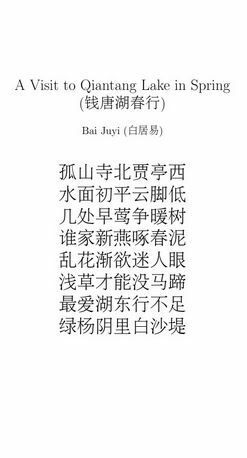 There is a tradition holding that Bai Juyi used to read his poems to an old peasant woman, and would change any word she did not understand. I have not been able to figure out exactly where Qiantang Lake is, or was. There is a Qiantang River that lets out into Hangzhou Bay and thence to the East China Sea; the river and bay are (says, again, Wikipedia) home to the world’s largest tidal bore. People surf it. The city of Hangzhou itself was formerly known as Qiantang, and Bai Juyi was its prefect from 822-825. Here is a close translation — translator unknown — and here is another translation by David Lunde. Image: After the Rain by Flickr user TumblingRun (license: Creative Commons Attribution-NonCommercial-NoDerivs 2.0 Generic [CC BY-NC-ND 2.0]). 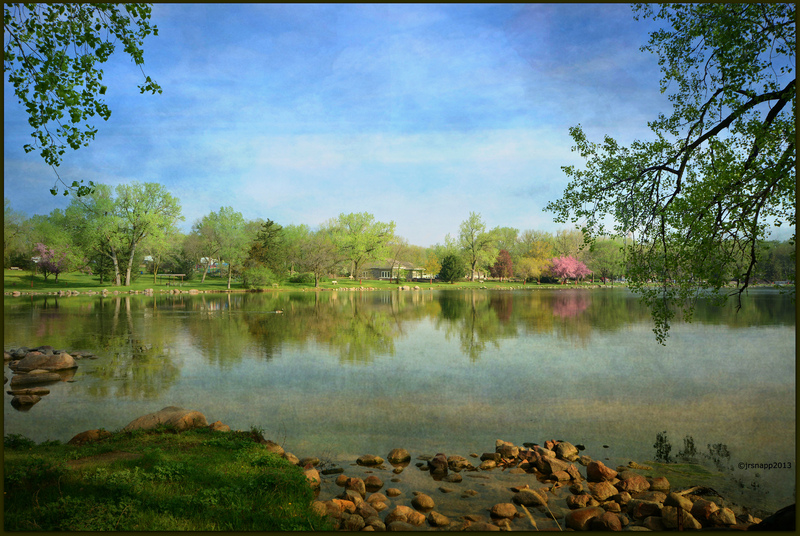 This entry was posted in character, free verse, grownups, story, Translation and tagged Bai Juyi, Chinese poetry, free verse, grownups' poetry, poem, poetry, translation by Thomas Kearney. Bookmark the permalink. Very nice! Thanks for sharing.